The heart of Glasgow’s city centre will be closed to all traffic and pedestrians for a week to make way for a Hollywood film shoot. George Square and the surrounding area will be the backdrop for high-speed car chases and gunfire for the Fast and the Furious spin-off film, Hobbs and Shaw. The Evening Times is reporting the blockbuster project has been given the codename ‘Danny the Nanny’ and stars Dwayne ‘The Rock’ Johnson and Jason Statham. Filming in Glasgow will run from October 23 to 29. Camera crews will be shooting for 12 hours at a time each day, from 7am-7pm. In a letter seen by the Evening Times, producers said: “There will be some activity outside of these times as the crew arrives and departs. “We will also have a small presence in the area on the days before and after filming in order to prepare and reinstate the locations. The scenes being filmed will include a “small amount of gunfire”. Crews will use props and replica firearms and Police Scotland will be on the set to ensure no alarm is caused to members of the public. Hobbs and Shaw focuses on Johnson’s US Diplomatic Security Agent, Luke Hobbs, forming an unlikely alliance with Statham’s character Deckard Shaw. 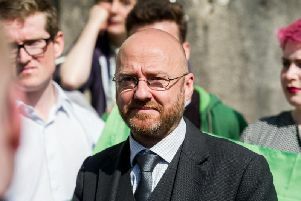 Patrick Harvie shares blog calling SNP politician a "w*****"